A complete line of anatomical pathology equipment and consumables, from specimen collection to diagnosis. Our products include laboratory equipment and consumables to support the pre-analytical phase of the testing process in cytology, histology products and services from gross dissection and tissue processing to slide staining and coverslipping. Microscope slides, coverglass, microarray, diagnostic printed slides and custom specialty glass featuring unique coatings, shapes and capabilities for a host of laboratory applications. Laboratory equipment and consumables to support the pre-analytical phase of the testing process in cytology. 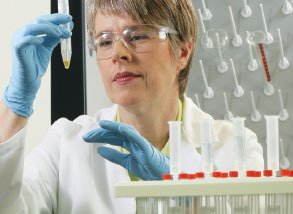 From collection fluids, slides, and stains to automated stainers and slide labellers.